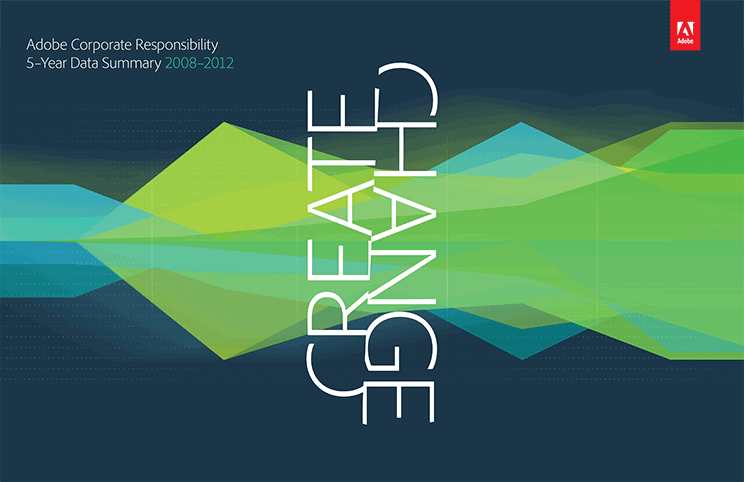 In 2013, Adobe set out to demonstrate the impact of their corporate responsibility program. Adobe worked with Edelman to reframe their program online with new messaging, storytelling and video assets, and a unique presentation of their progress over the past 5 years. The goal was to bring much needed attention to this industry leading program. To avoid the traditional, copy-heavy Corporate Responsibility PDF, we developed an interactive data visualization to highlight the program’s evolution. The report took a dynamic, data-driven approach to share corporate responsibility metrics. The report presents data transparently and is representative of Adobe’s innovative products and culture. It visually depicts the traction made within key program pillars of giving, sustainability, waste reduction and the Adobe Youth Voices program from 2008-2012. Along with the interactive data visualization, we designed an accompanying 5-Year Data Summary. This report cleanly presents the key achievements across the company, including Adobe’s investment of more than $275M in community cash and product donations over five years and 100% waste diversion at the San Jose headquarters in 2012. We partnered with Adobe to develop a new Corporate Responsibility framework, messaging and five videos highlighting newly minted program pillars on the Adobe CR website. These intimate documentary-style videos highlight how Adobe employees and other industry leaders bring CR to life through a direct look at those impacted by the program. Edelman also developed a new logo and designed new wireframes for one of the Adobe Foundation’s key initiatives, Adobe Youth Voices. Both the logo and the website are inspired by the creativity this program instills in youth. After launching on Oct 15, the report was well-received in the CSR community, ranked #2 most popular CSR report by CSRwire during the month of October, and was featured on TriplePundit and 3BL. 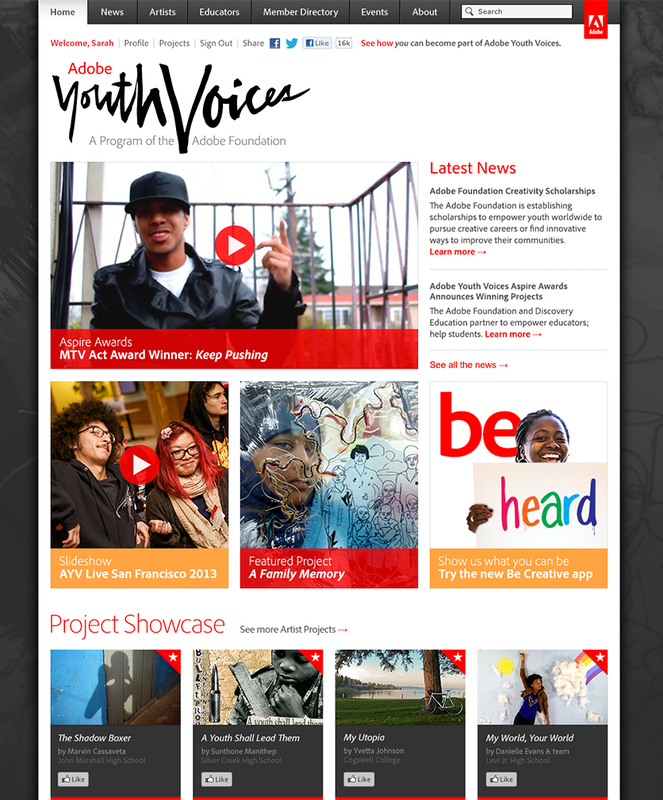 The revised Adobe Youth Voices website helped drive 600k+ votes for the AYV Awards. Soon after, Adobe was included in The Civic 50 , an initiative to identify the 50 most community-minded companies in the nation.